Sedona is a popular tourist city located in the Northern Verde Valley region of Arizona. The city is home to over 10,000 residents and is located between Yavapai and Coconino counties. As a haven for domestic and global visitors, Sedona is mainly known for its amazing red sandstone formations. In fact, these formations glow in spectacular orange and red colors when illuminated by the rising or setting sun. These popular formations attract thousands of guests and tourist each year. They also serve as the backdrop for many activities, including hiking, mountain biking, bird watching, and even spiritual retreats. There are many things to do in Sedona for all ages. From photography and hiking to mountain biking and souvenir shopping – the city welcomes one and all with open arms. 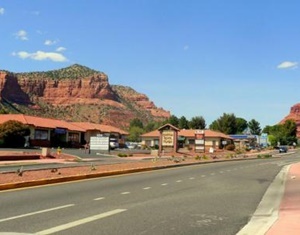 In fact, the Sedona Tourism Board features a convenient information center located in town. They can furnish visitors and tourists with travel guides, along with guided tours if needed as well. Whether you love bird watching or sightseeing, Sedona is truly a magical place with the most spectacular scenery and picturesque backdrops in Arizona – if not the nation. It is also a home to several motels, hotels, fine dining establishments, and even banquet halls located in town for weddings, corporate events, and family gatherings or reunions. Sedona was named after Sedona Arabella Miller Schnebly. 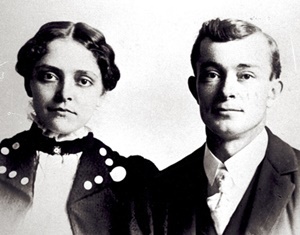 She was the wife of the town’s first postmaster, Carlton Schnebly. The Schnebly’s were heralded for their hospitality to strangers and visitors. As many Arizona towns began to boom in the late 1800s and into the turn of the century, Sedona would always retain its natural vibrancy, allure and essence. This is why so many people still travel to the city today to explore Mother Nature at her finest. The idea to name the town, Sedona, is credited to Amanda Miller – who was Sedona’s mother. Amanda always loved the name and felt it was pretty enough to name a city after it. 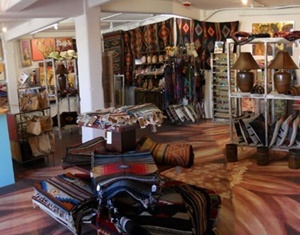 · Souvenir shopping at Tlaquepaque and Uptown Sedona – the city is surrounded by old Native-American establishments and trading posts. You can also stop for a bite to eat while enjoying the Native-American artifacts and art galleries located in and around town. · Sedona features small shopping centers with all the top brand name stores and products for your convenience. · There are tours that will take you up Oak Creek Canyon, which is a must to see natural wildlife and birds in their respective habitats and niches. · West Fork and Slide Rock areas are perfect for picnics, bird-watching, and simply soaking up the summer sun. · The tour also features stopovers on walking and hiking trails, as well as mountain biking for those that are equipped or will rent cycles. Please note that this might be at an additional cost but is part of several tours for guided tourists and visitors. · The tour then ends with a visit to Airport Mesa to watch the sun go down – and witness the beautiful red and orange colors shimming off the Red Rocks of Sedona. After a day of sightseeing or mountain bike riding, why not wind down at one of many fine restaurants located in town and in the outskirts. In fact, the Sedona Spa is a great way to relax in soothing Jacuzzi or receive manicure, facials, and pedicure treatments that will truly revitalize the soul and spirit. You can also take a short drive to West Sedona, which is home to more souvenir shops, stands, and some of the finest dining venues, cafes, and restaurants in town. The Page Springs and Cornville areas are also a must for fine wine enthusiasts and aficionados. · Shopping for local and historic souvenirs. · Fine dining at area restaurants, eateries, and outdoor cafeterias. · Picnics and guided tours of local parks, botanical gardens, and spectacular views of the rock formations from afar. 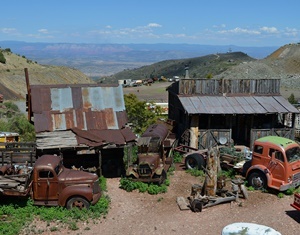 Another popular attraction near Sedona is the Old Ghost Town of Jerome. Straight out of an Old Western film, you will see plenty of tumbleweed and old and discarded homes in this historic yet scary town. The local population is proud of the Old Town and is known for their warm and inviting hospitality.